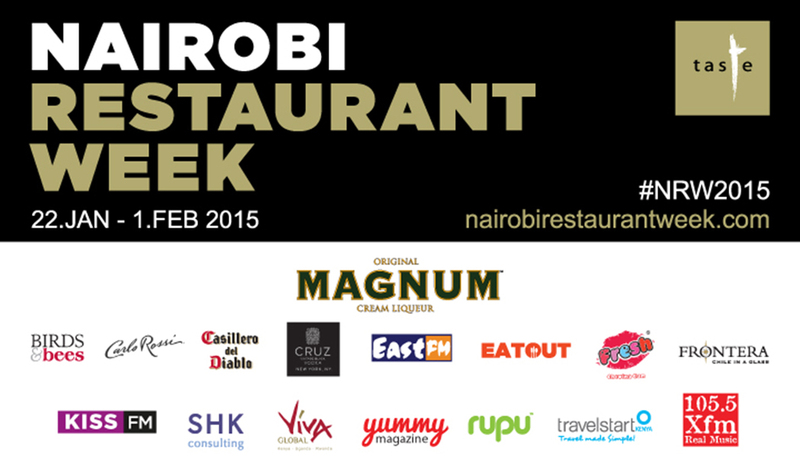 I have been looking forward to Nairobi restaurant week since the first edition was launched last year. I went to 3 restaurants last year, and I’m hoping to do more this year. 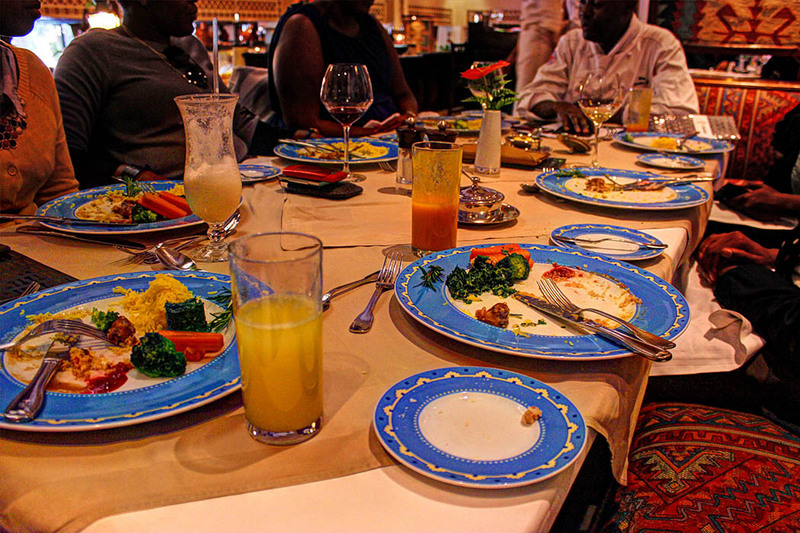 Nairobi Restaurant Week 2015 runs from 22nd Jan- 2nd Feb. All menus are priced at Kshs1500 ($16) to Kshs2000 ($22) exclusive of drinks. Last year the menus ranged from Kshs 1250 ($14)- Kshs 1750 ($19) , I am hoping that the prices do not make a similar leap in next year’s edition. 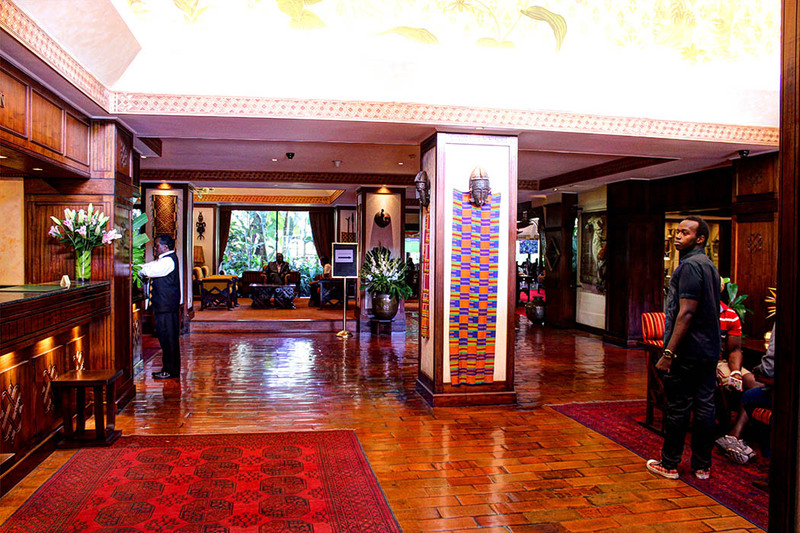 My first stop was Café Maghreb located in Nairobi’s Serena Hotel. 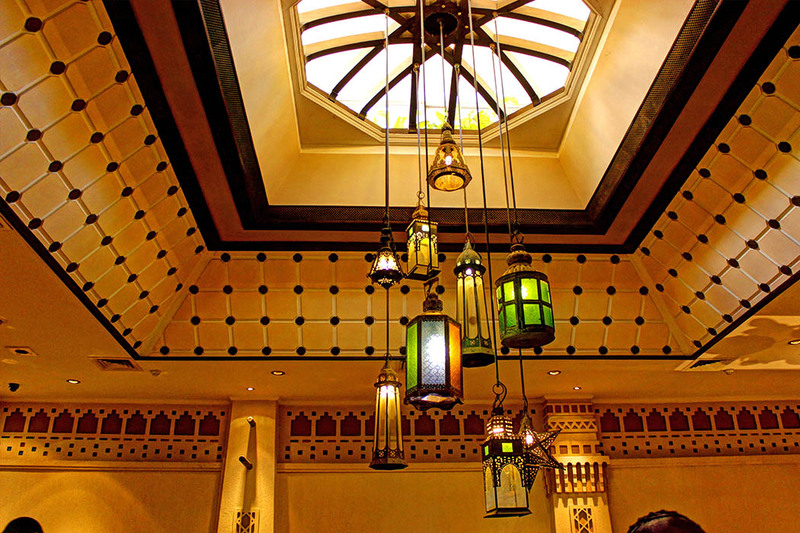 The Moroccan-styled Café Maghreb is an internationally themed buffet breakfast and lunch venue. 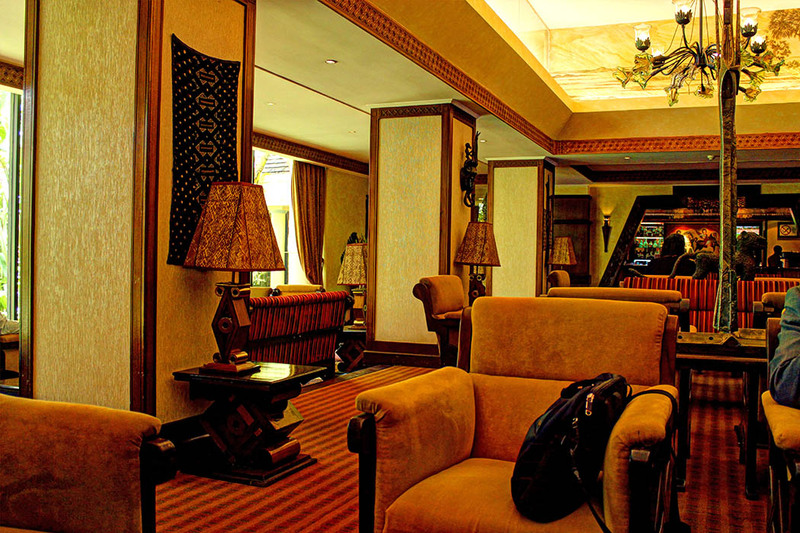 It features both a table d’hôte (fixed price menu) dinner menu and a 24-hour brasserie service. 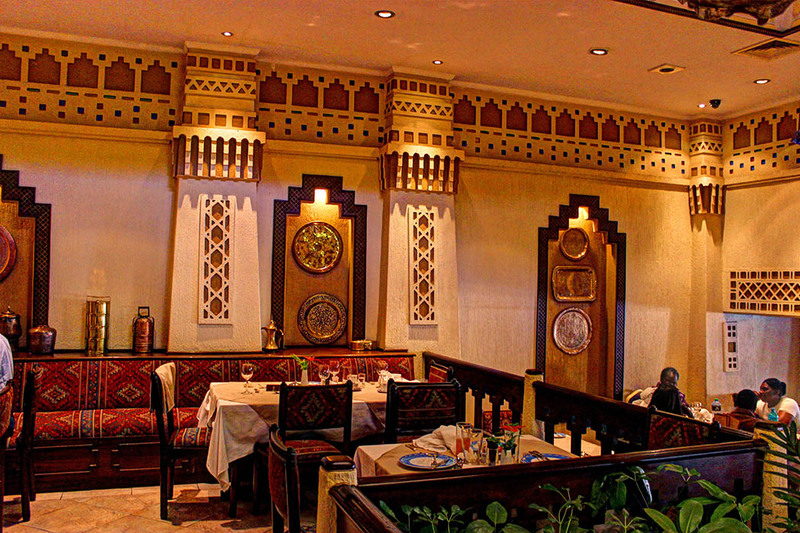 The décor is Moroccan themed, the colors are warm and rich and there are pretty wrought metal ornaments scattered on shelves throughout the restaurant. My favorite detail was the light fixture which consisted of hanging lanterns. 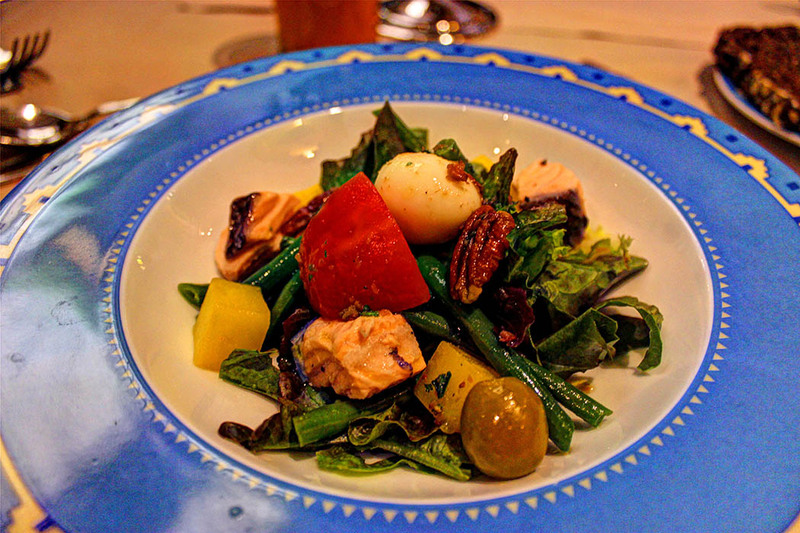 The first starter I tried was salmon nicoise salad with truffle and anchovy dressing, soft boiled quail eggs and walnuts. This was rather tasty but could have been better with a bit less of the dressing. My next starter was the mushroom soup 3 ways .The soups a fine blend of button, oyster and porcini mushrooms, was rich in flavor and had a slight smoky taste. It was my favorite of the two starters – not only was it delicious but also very filling. The main course was lemon chicken . 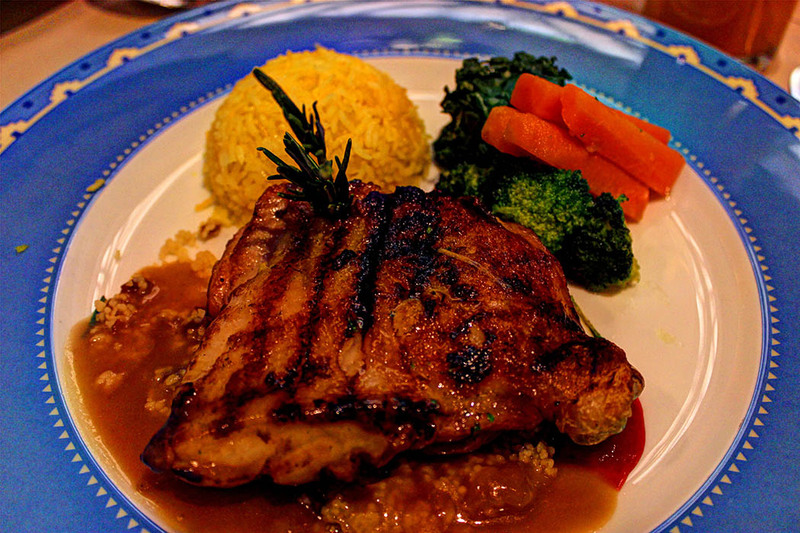 The delicately grilled chicken ballotine was set on orange couscous. 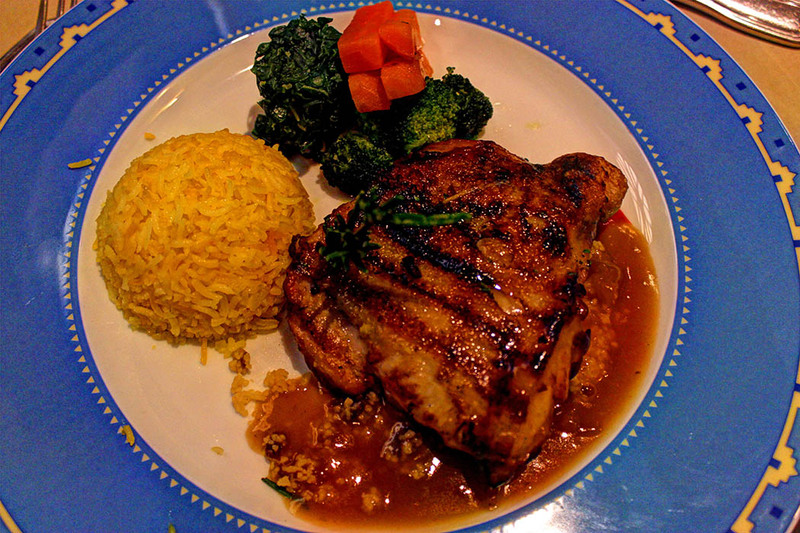 The chicken was accompanied by saffron rice and fresh market vegetables. The lemon chicken was done just right, all the flavors came together beautifully. The unexpected sweetness from the raisins in the couscous was a welcome addition. I cleared my plate, except for the veggies which I left untouched. I am not a fan of broccoli and cannot stand the texture of cooked carrots. I did try the creamed spinach but found it too bland. 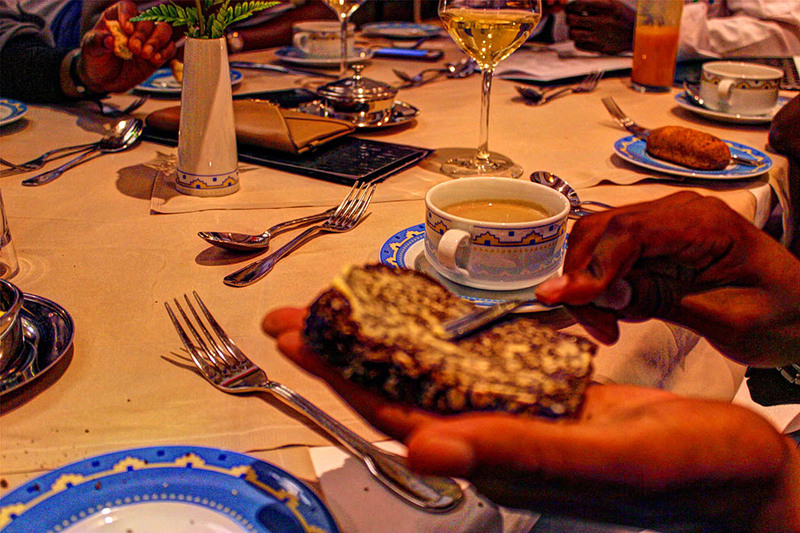 It tasted like plain steamed spinach; the taste of cream could barely be felt. I then ordered a glass of mango juice, it tasted fresh (I could tell it was not from a packet). I hate it when you order juice in a restaurant and they serve you with straight from the packet juice which you get at the supermarket for cheaper. For dessert I had the vanilla panna cotta with strawberry sauce and flavoured crispy macaroons. This was my first time having a panna cotta and I loved it. It was so good that I’m searching for recipes to see if I can make some at home. Overall I enjoyed my meal very much, and so did my companions. The service was average, there really isn’t much to say about it. Would I go back? Yes. The meal was definitely value for money, most restaurants with a kshs 1500 ($16) Nairobi Restaurant Week menu only serve 2 courses. If you’re interested in seeing how the meals were prepared you can go over to my friend Jess’ blog. 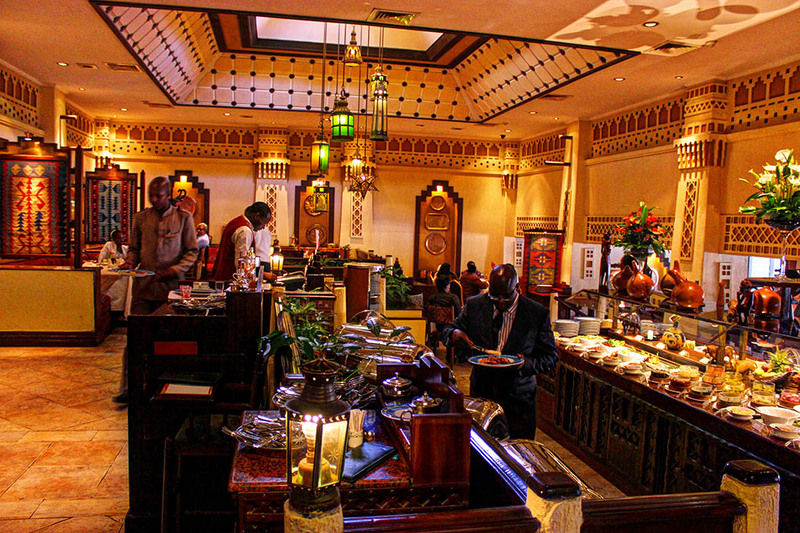 Disclosure I was invited to sample Café Maghreb’s Nairobi Restaurant Week menu by Nairobi Serena Hotel during Nairobi Restaurant week. However all opinions are mine. P.S. 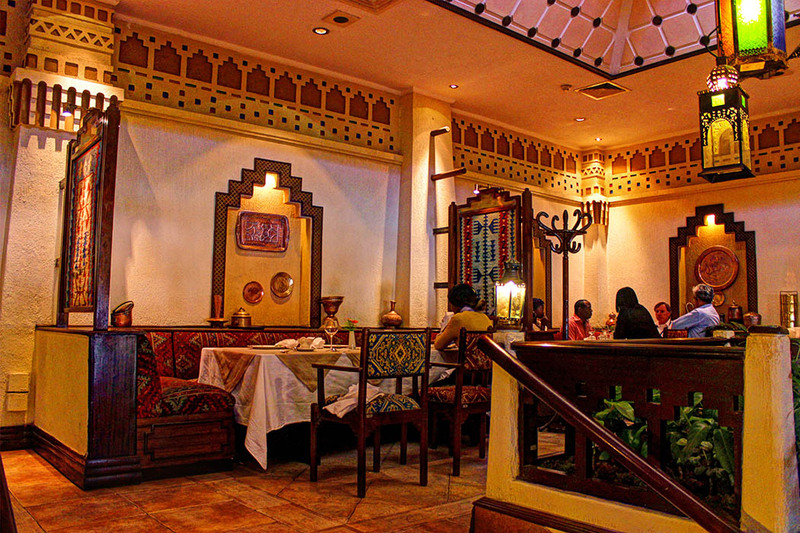 Based on my experience I recommended Cafe Maghreb to my friends and they had nothing but good things to say about their Nairobi Restaurant Week menu. Rachel, This post certainly left my mouth watering. I wish I had some chicken in my larder so I can have some lemon chicken! It sounds delicious! Great post. Thank you Corrine. It was delicious, I am longing for more now. Restaurant week happens internationally (though not simultaneously I think) so maybe you could check if it happens in the city you’re currently in? I’m excited to be reading this as I’m going to Morocco for the first time next week! Shame about the vegetables but I agree bland vegetables aren’t that appealing to me either. Those desserts look DELICIOUS! Enjoy your stay! I do hope you will be blogging about it. I really enjoy Moroccan food. It’s harder to find in Texas than it was in Malaysia. The entire menu sounds yummy. It’s hard when your starter is so delicious like the mushroom soup, and you run the risk of filling up before your main gets there. I like raisins in my couscous, too. Last of all, I’d really like that cluster of hanging lanterns in my own house. It’s so pretty. The mushroom soup was AH-MAZING. 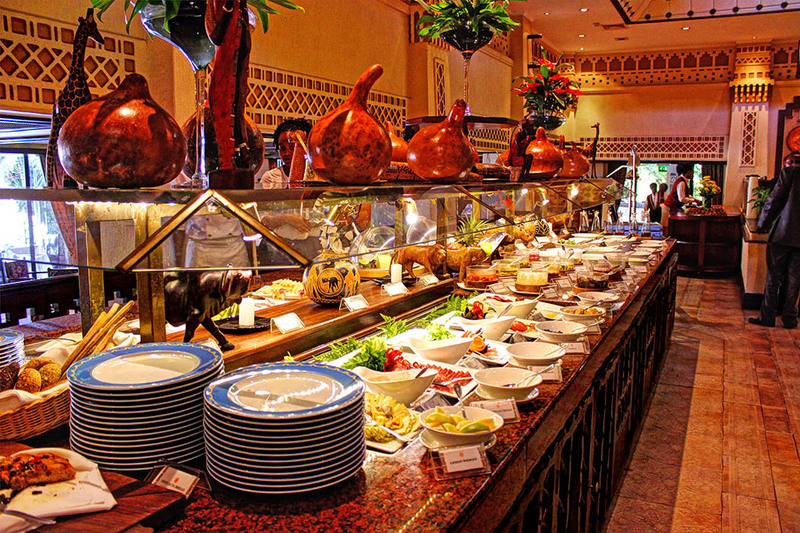 I’d go back to Cafe Maghreb just for that. 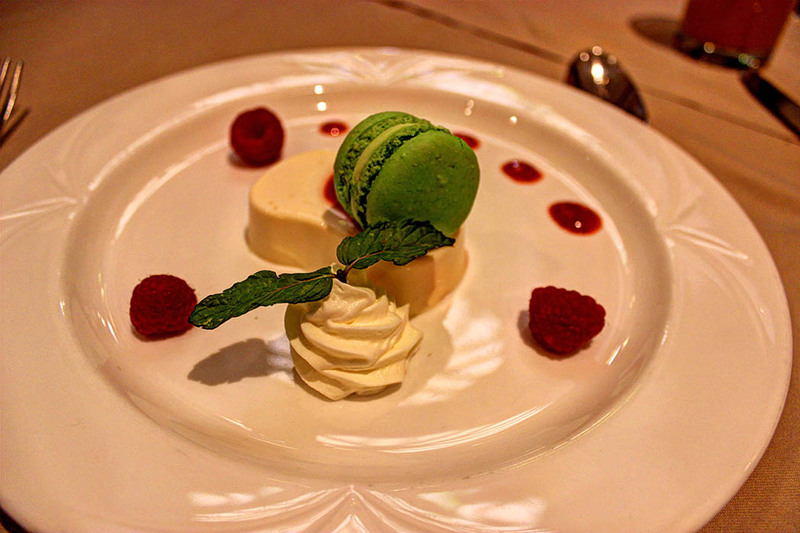 I try pace myself when I am having several courses so that I always have room for dessert. I can’t disagree about the chicken. I wish there was away someone could taste something through words, it was delicious. Looks like a really fun week. 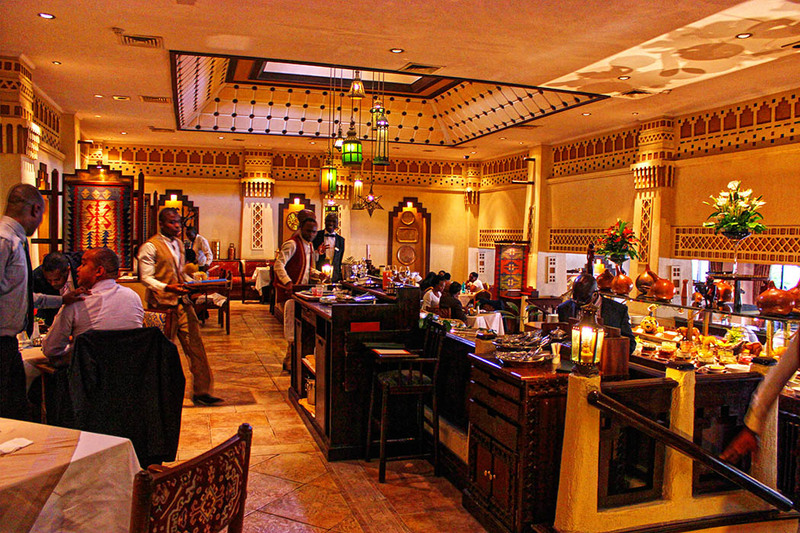 I love to eat out, and my favorite restaurant in New Zealand is also Moroccan themed. Your food photos made me hungry. I hope you had something to eat. Food posts always make me hungry, I make a point to read them on a full stomach. So sad I missed out on NRW! I guess travel is a good excuse, but the meals I’ve seen on here and on your Instagram feed have looked pretty spectacular. 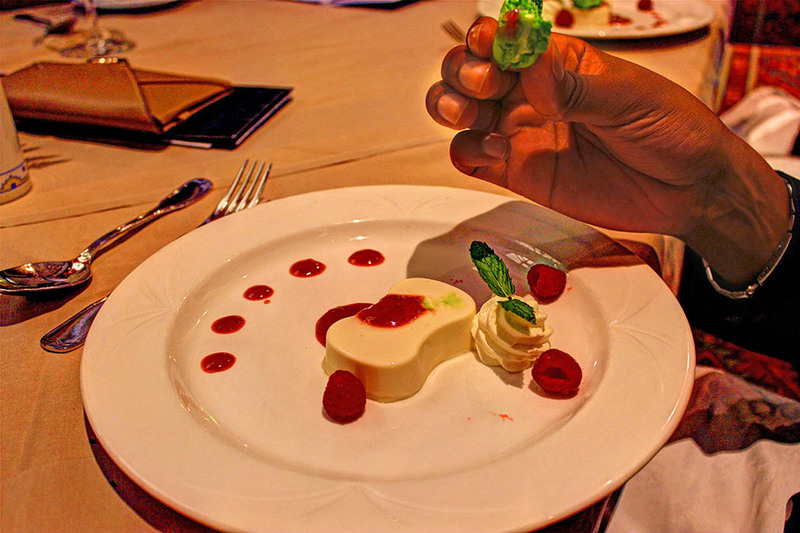 Good luck with the panna cotta creation. What a brilliant post! 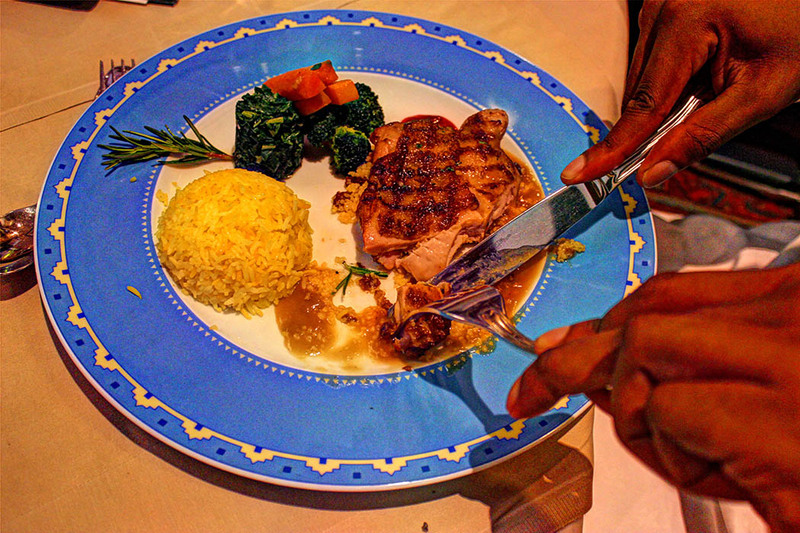 I LOVE the idea of Restaurant week… I wish they were doing something similar here in Milan. The menu you had looked incredible (especially the mushroom soup!) and the panna cotta looked lovely. 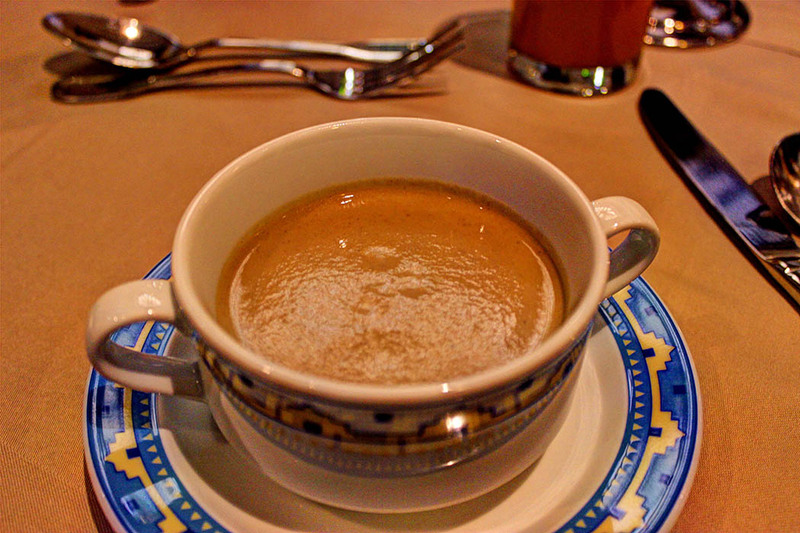 You should come to Italy and have one from Piedmont, the panna cotta region! I’m about to sleep and now will dreaming about your delicious looking photos 🙂 We have Restaurant Week here too but I’ve never participated. 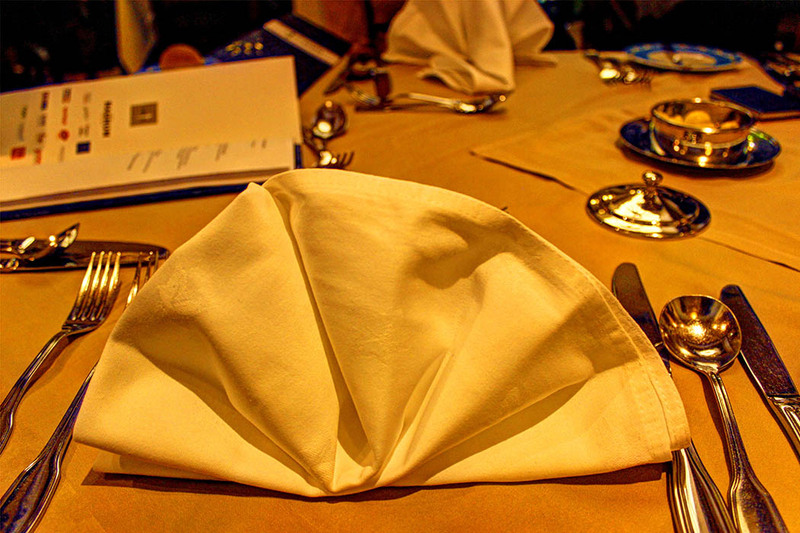 Your food looked delicious especially your main course. Love macarons so my mouth was watering. Hey Rachel, you have a great gift if you never knew. You have an aesthetic eye and ability to express yourself so beautifully using words as seen in this post. Of interes to me is, which camera phone took those amazing photos? Did you later edit them/add some color on photoshop? Thanks. Hi Brian, I took most of the photos with a DSLR, Canon Rebel T3i. I doubt that they’re any photos I took with my phone but if there are I use a Samsung Kzoom. All the editing is done on Photoshop.